dangerous ‘zero-day’ exploits for hackers. In 2016, Yahoo confirmed it was the victim of a massive cyberattack that put the personal information of 500 million email users at risk. It was one of the biggest thefts of online personal information in the history of the internet. Yet the hack didn’t happen in 2016 — it happened in 2014. Many of the largest, most sophisticated cyberattacks utilize zero-day exploits. Upon further investigation, U.S. Senator Mark Warner insisted Yahoo executives knew about the problem before the company was sold to Verizon. History repeated itself with the monumental Equifax breach, where executives sold two million dollars in stock just days after learning of the hack. The question of who knew what — and when they knew it — is of the utmost importance. Project Zero was created by Google for situations just like this. It’s a cybersecurity task force that acts behind the scenes with the stated goal to “significantly reduce the number of people harmed by attacks.” They don’t do interviews or comment on their work. Instead, the group keeps a low profile. Its findings and impact on the industry, however, are anything but quiet. 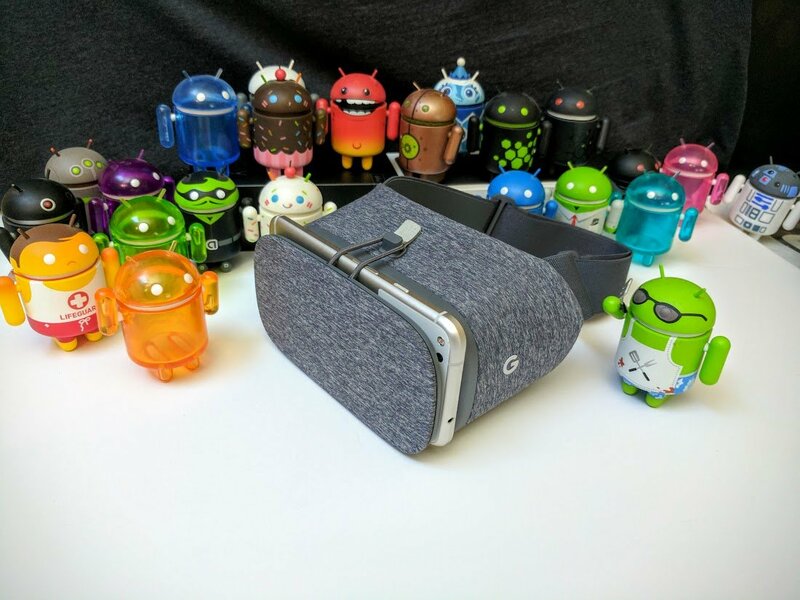 The beginnings of the group can be traced back to 2014, when the circle of cybersecurity professionals was officially formed inside the halls of Google. According to the group’s manifesto post, the task force was first put together to secure its own products. But in light of internet-wide security concerns like Heartbleed, and Edward Snowden’s government surveillance revelations, Google set a new target on zero-day vulnerabilities across the entire industry. You may not have heard of a “zero-day” vulnerability, but the consequences of them make headlines. It’s a term used in the computer security industry about a bug or vulnerability that’s unknown to the maker of the software. Many of the largest cyberattacks fall into this category of zero-day exploits, often leaving companies, and those who use their products, blind-sided. When a company finds a vulnerability that moment is known as “day zero” – and for the next 90 days, it’s a ticking time bomb. This was Intel in July of 2017, when it was alerted of 20-year old bugs in x86 and ARM-based hardware that impact nearly every CPU in circulation. As told by Wired, it was first discovered by Project Zero’s 22-year old hacker, Jann Horn, while diving deep into Intel’s own documentation on its processors. The flaw wasn’t introduced in the company’s latest hardware. It’d been around for years, but no one had noticed – or, at least, no one willing to disclose the flaw publicly instead of using it to their advantage. Google’s crack team of hackers aren’t the only ones on the hunt for zero-day vulnerabilities. An entire market is built around discovering them, including bug bounty programs implemented by large corporations — and the black-market buying and selling of zero-day vulnerabilities. Even the NSA has been criticized for participating in purchasing zero-day vulnerabilities and stockpiling them for the development of cyberweapons. That’s why Project Zero’s approach to ethics is as important as its ability to spot bugs. Project Zero follows “responsible disclosure,” which has become an industry standard for keeping the public safe from zero-day bugs. After all, releasing vulnerabilities to the public would only help cybercriminals exploit them. Project Zero’s way of side-stepping this is to report the vulnerabilities to manufacturers privately, giving them 90 days to address the bug before it’s made public. The day a company finds out about a vulnerability is known as “day zero” – and for the next 90 days, it’s a ticking time bomb. The countdown-clock nature of responsible disclosure pushes companies to quickly and effectively deal with the problem before things go public. It’s the reason Intel is being questioned for the way it reacted to the Spectre and Meltdown discoveries. The company never released information to its industry partners or federal government, making its public disclosure in January that much more painful. What if Intel wasn’t on the clock? When would it disclose the problem? Would it ever? We’ll never know for sure, but the company’s delay wasn’t a good look. retrieve valuable sensitive data being processed by the computer. The above gif shows an example of Meltdown stealing data via memory dump. When the timeline expires, Project Zero publishes the vulnerability as promised, even if it’s not fixed. The task force has found multiple, hackable problems within the Edge web browser, and Microsoft has been slow to act. Thanks to Project Zero’s approach to responsible disclosure, we know about those vulnerabilities now. Microsoft’s security flaws are out in public, for everyone to see – and those read about it may choose to avoid Edge. That kind of public pressure encourages companies to make cybersecurity, and the privacy of its users, a priority. Project Zero can’t solve malware on its own, of course. 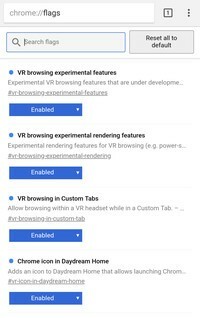 This is only Google’s way of “getting the ball rolling” and “doing their part.” There will always be more vulnerabilities, as well as institutions and criminals looking to exploit them for their own agenda. Still, it’s nice to know that as this issue becomes more public, someone is out there hunting for bugs with our security in mind. Available for the Arlo Pro 2, Go, Baby, and more. Nest and Ring may be the top names in the smart security camera space, but that doesn’t mean they’re the only ones out there. Netgear’s Arlo line of cameras are fairly popular, too, and now they’re getting even better with full Google Assistant integration. With this update, you’ll be able to see live video feeds of your cameras by either talking or typing to the Assistant. 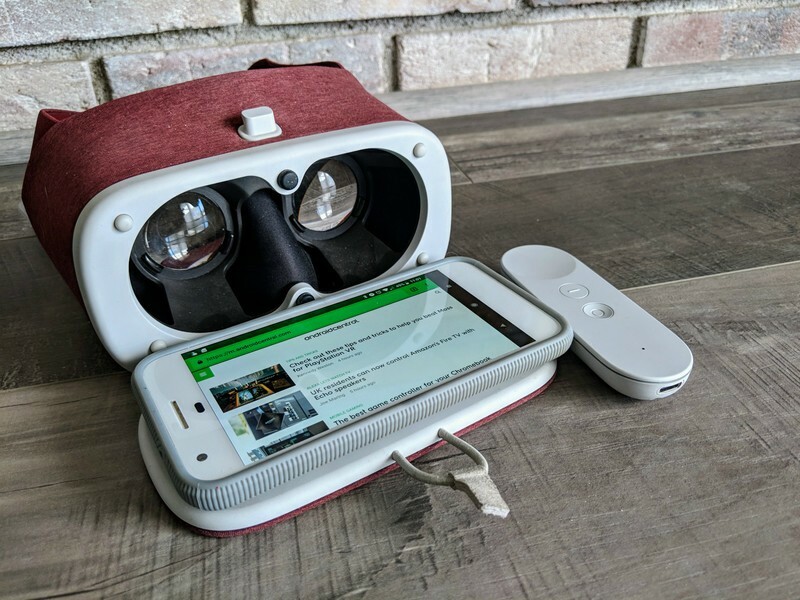 You can tell your Google Home to “show the Backyard on the Living Room TV” if you have an NVIDIA Shield TV or Chromecast-enabled television, and if you’re out and about, you can ask the Google Assistant to show you any of your camera fees right on your phone. Now that Arlo’s jumped on board the Assistant train, are you more inclined to get one over its many competitors? 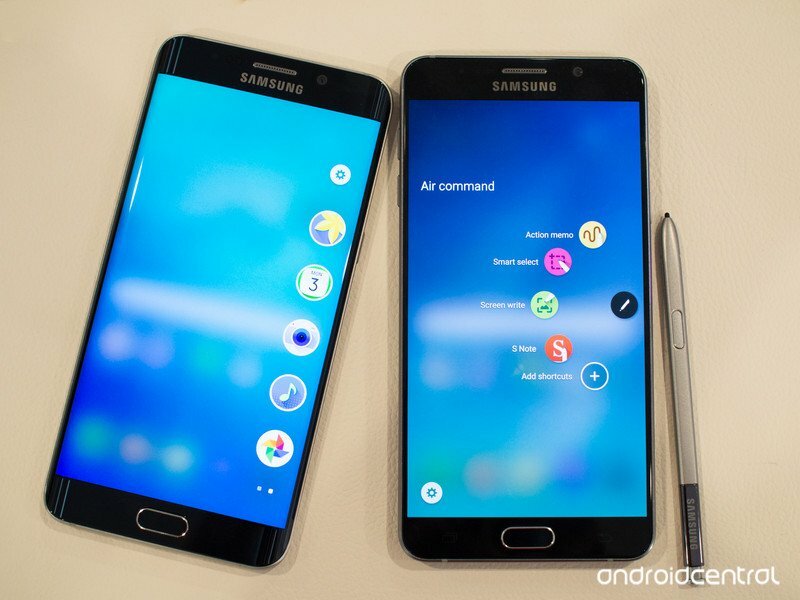 Say what you will about Samsung’s TouchWiz software — and I can say plenty — it’s a very distinctive look. 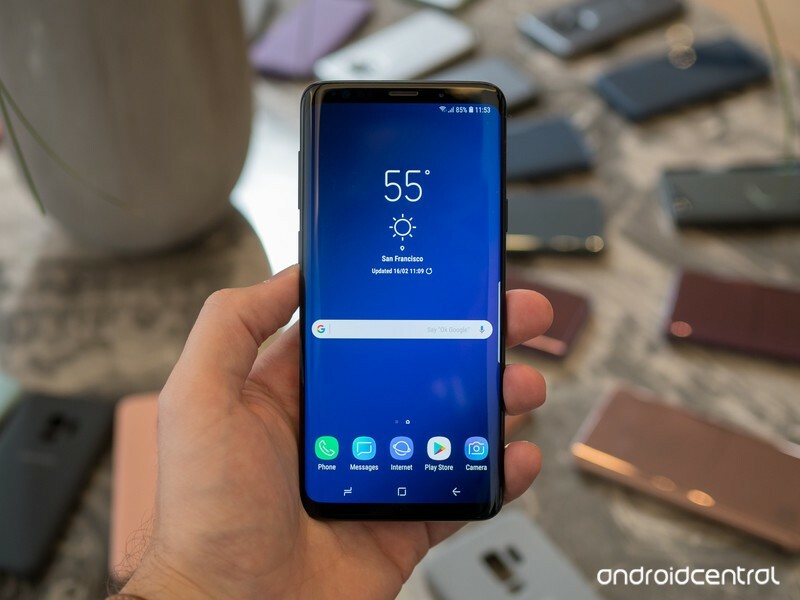 The Samsung Galaxy S9 is here, and with it comes another update of Samsung’s software UI. This year is more of a polishing than last year’s overhaul, with the S9’s home screen sporting an array of geometric wallpapers, wireframe icons, and distinctive widgets. Even if you pre-ordered a Galaxy S9, it’s not showing up for a few weeks. While you’re waiting, why not get some of that modern sleekness on your current phone with our very own Samsung-inspired theme? I’m opposed to stock wallpapers on principle, but the wallpapers packaged with the Samsung Galaxy S9 are really enticing. They’re somewhat diverse; some feature geometric patterns in various colors, but there’s also a dandelion one, a few styles featuring the “9” branding, and some simple ones with faded color streaks. 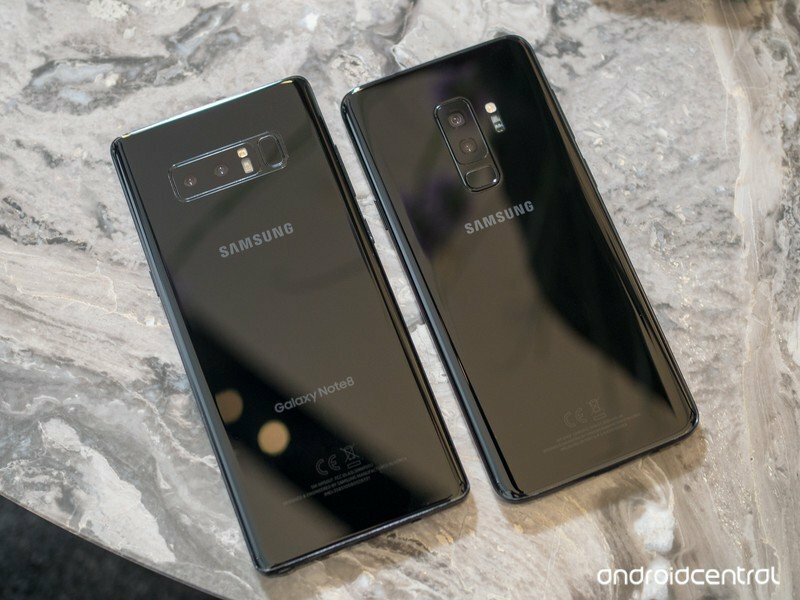 We’ve extracted all of the pre-installed wallpapers for the S9 and S9+, and there are 19 in total for you to choose from. 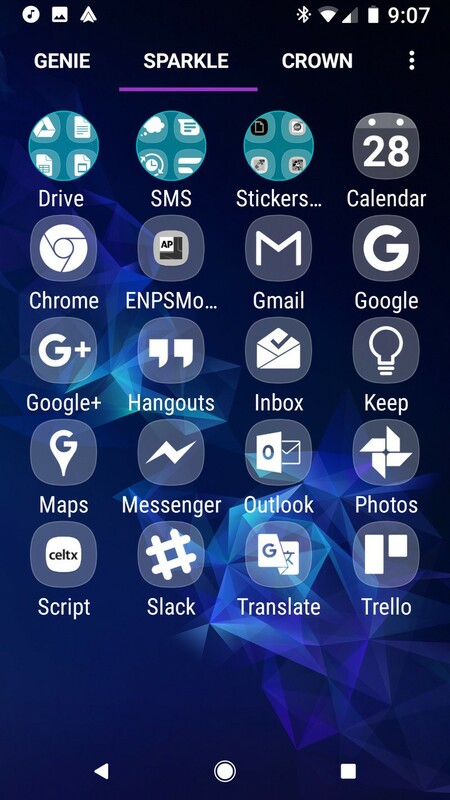 Folders: This is one of the few areas where third-party launchers can outdo TouchWiz itself! At least, Action Launcher can. 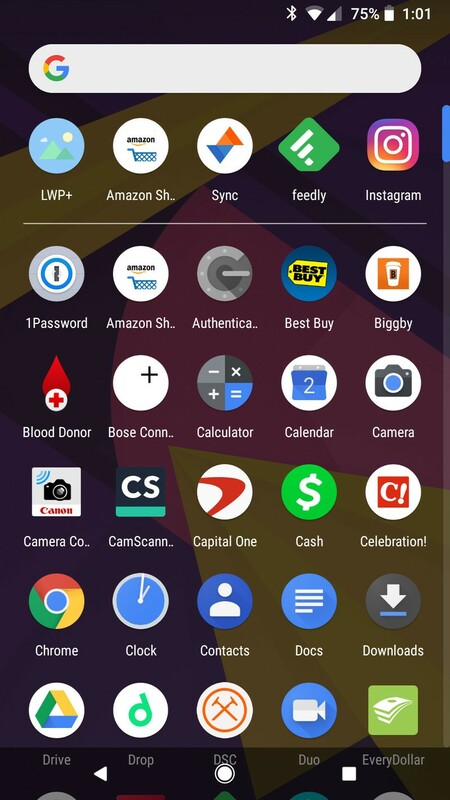 Action Launcher has a wide, wide array of folder shortcut styles available, and two of those styles are TouchWiz and TouchWiz (outline). You can choose either of these options in **Action Settings > Folders & Shutters > Style to achieve squircle folders to match our squircle icons. 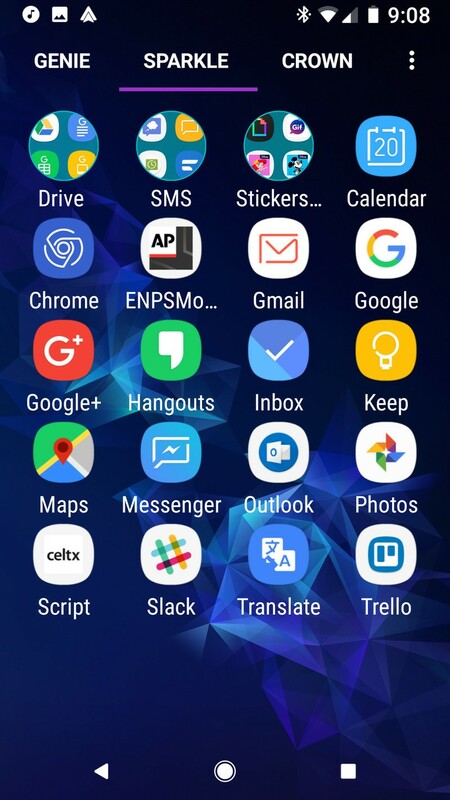 Swipe for app drawer: Samsung lets you open the app drawer in TouchWiz by swiping up or down anywhere on the home screen itself, much like the Google Pixel 2. For Nova Launcher, you can turn this on in Nova Settings > App & widget drawers > Swipe to open. For Action Launcher, you can turn this on in Action Settings > Shortcuts > Swipe up. 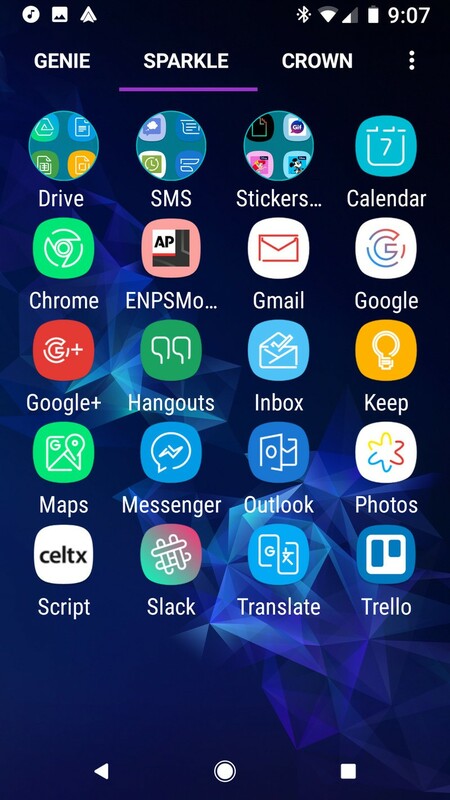 App labels: Samsung keeps apps labeled on both the home screen and dock. To turn that on in Nova Launcher, you’ll turn on home screen labels under Nova Settings > Desktop > Icon layout > Label. You can turn on dock labels under Nova Settings > Dock > Icon layout > Label. In Action Launcher, you can turn it on for the home screen under Action 3 Settings > Desktop > Text Labels. 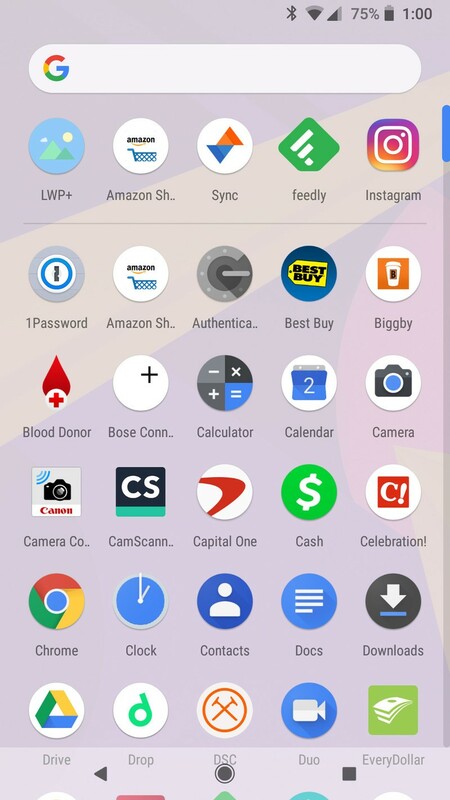 You cannot turn on app labels for the dock in Action Launcher 3 at this time. The other launcher requirement we have is that it supports third-party icon packs so we get some lovely squircles on our home screens. No one icon pack quite gets the S9’s blend of squircles and wireframe icons perfect, so I am going to offer you a few options and let you decide which one is the most Samsung-like in your eyes. 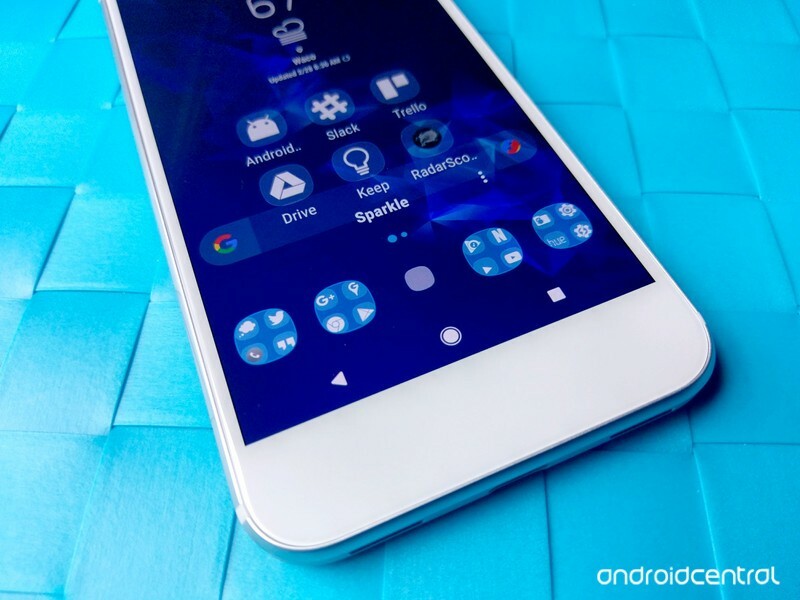 Aspire UX S9($0.99) leans away from the wireframe look, giving you wireframe system icons while opting to be more faithful to third-party icons, adapting them to squircles rather than making them completely wireframe. 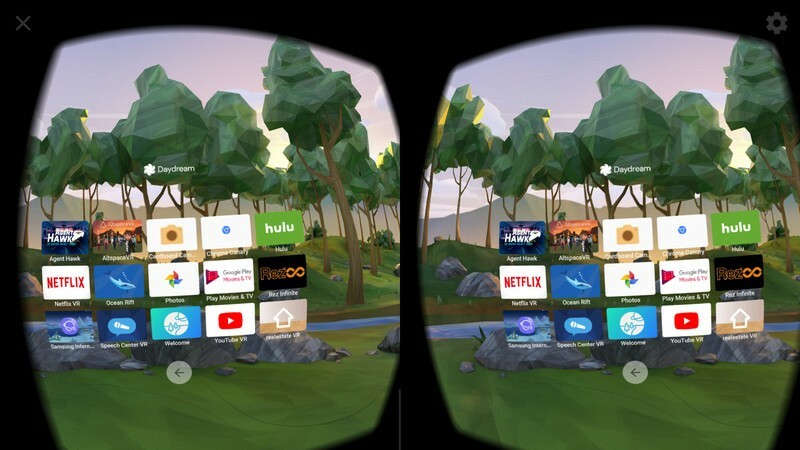 It gives you the Samsung look without going completely wireframe. 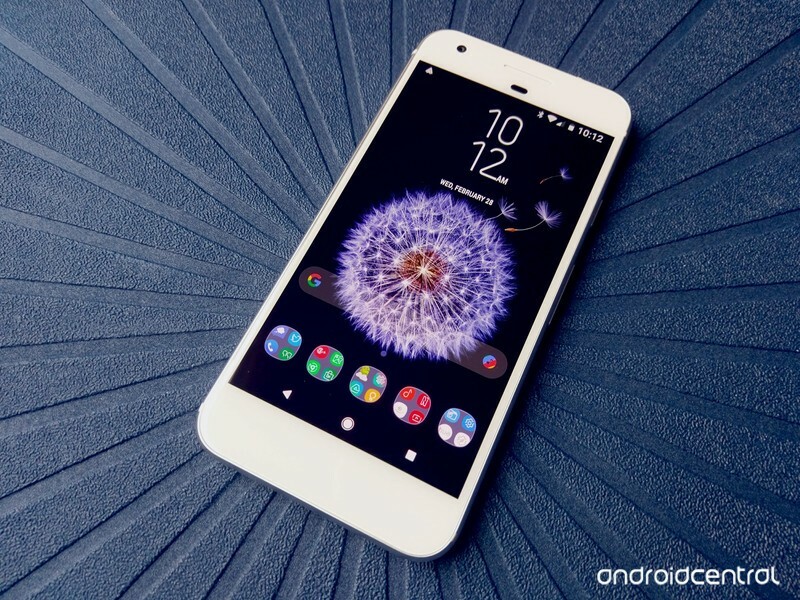 Emptos($0.99 is an icon pack that eschews wireframes altogether and instead opts for uniform white icons on transparent squircles. This allows the lovely wallpapers to shine through and present a clean take on the Samsung look. 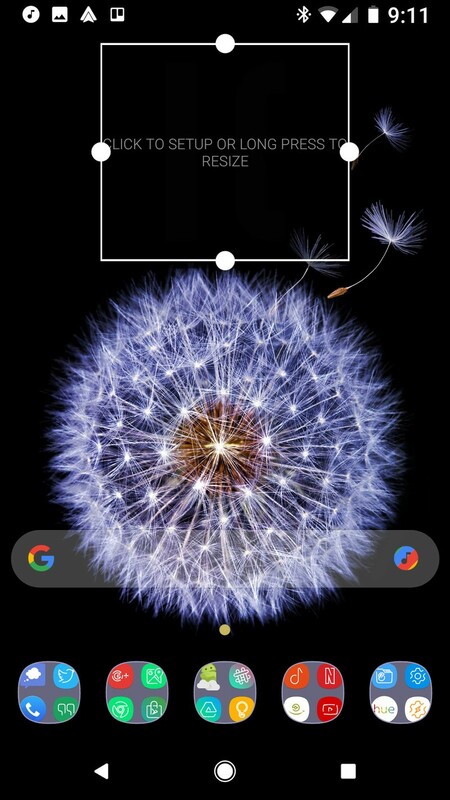 The TouchWiz home screen by default has two widgets on it: a Google search widget at the bottom of the desktop, and a clock widget top center. 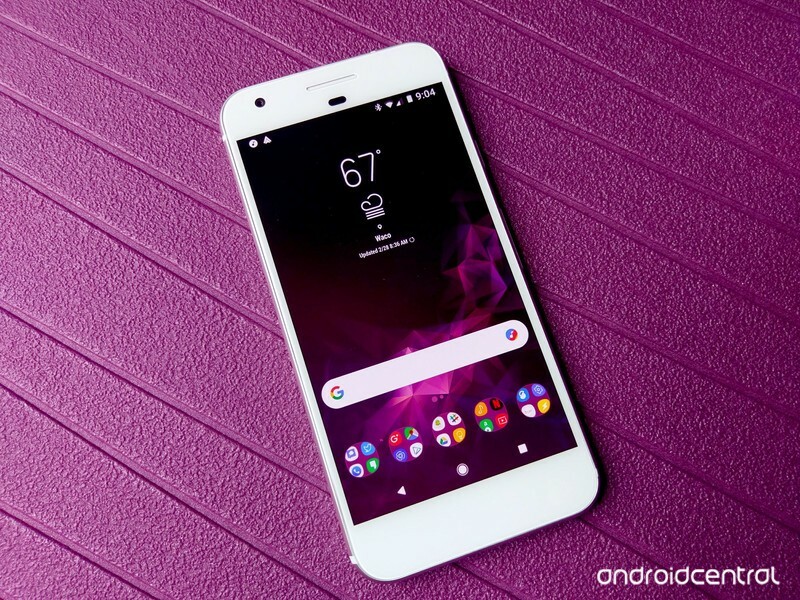 Google search widgets are a dime a dozen, and they’re found on just about every launcher on the market today, but that clock widget takes a little extra work. 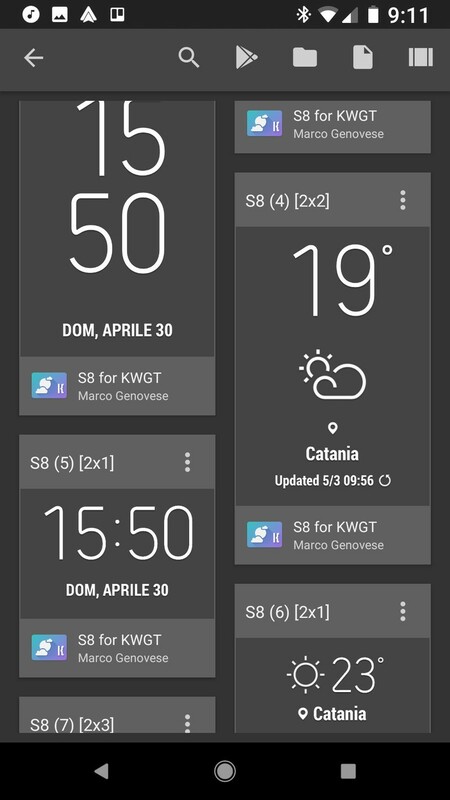 To use one of the widgets from S8 for KWGT, add a blank KWGT Pro widget to your home screen, then select the Preset you want. You can even adjust the colors or scale of the widget to better fit your wallpaper and theme. 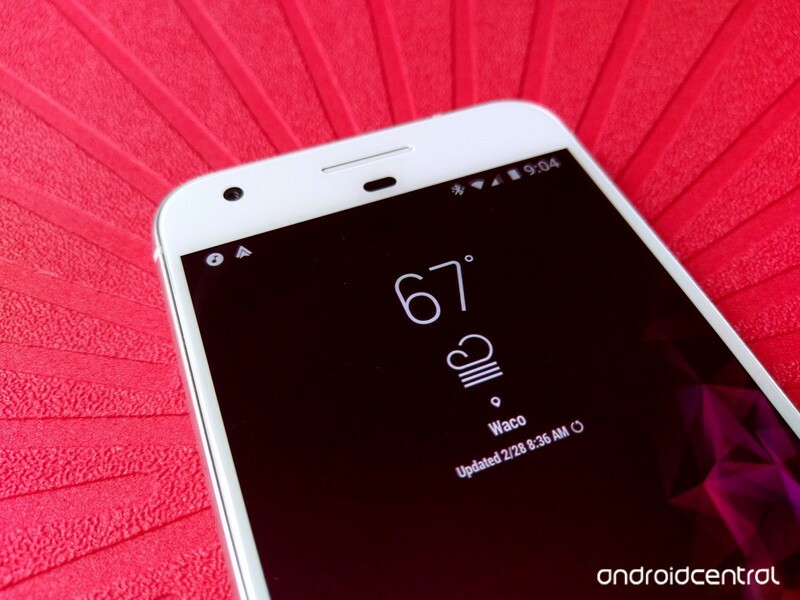 So, what makes the perfect S9 theme to you? Is it the Samsung wallpapers or the squircle icons? 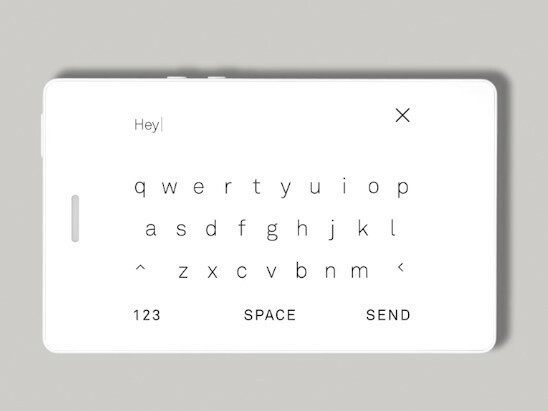 Is it the gestures or the widgets? 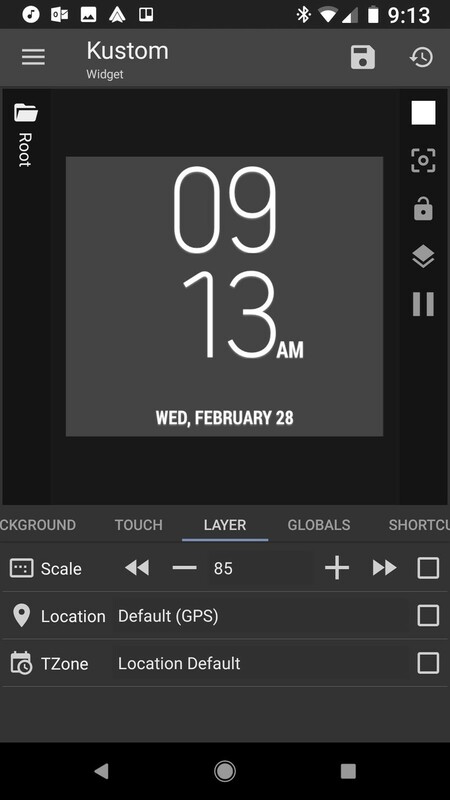 How do you build your own Samsung theme? Show us in the comments! Because who doesn’t want dark mode all the time? 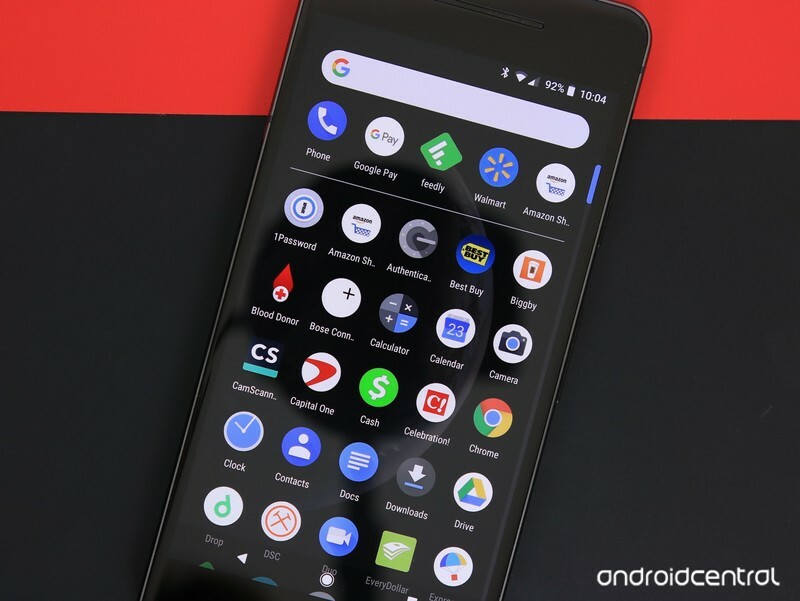 Google introduced a lot of fun software goodies with the Pixel 2, one of which is a dark theme that can be enabled depending on which wallpaper you’re rocking. 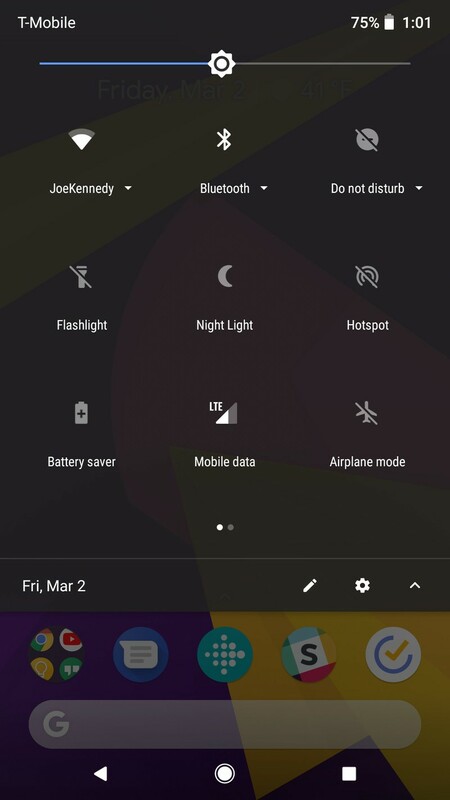 If you add a dark enough wallpaper to your home screen, Android’s stark white paint job in the quick settings, app drawer, folder backgrounds, and Google Feed page is replaced with a sleek, dark/black look. This is a great step in the right direction for deeper user customization, but thanks to a new app called “LWP+”, you can enable this dark mode with any wallpaper that you’d like. 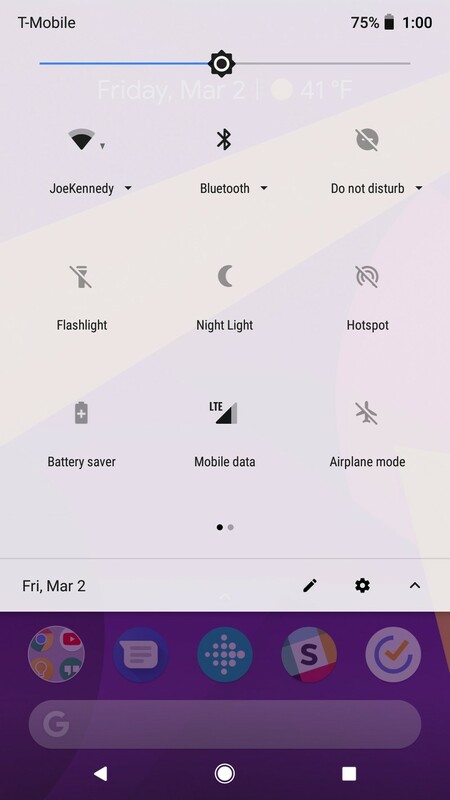 After downloading LWP+, open the app, select the background image/wallpaper you want, enable the “Set as current live wallpaper” toggle at the top, and you’ll instantly be rocking Android’s dark mode. I’ve been using the app just fine on my Pixel 2, but keep in mind you’ll need to be running Android 8.1 or later in order for this to work. LWP+ does give you the option of using custom primary, secondary, and tertiary colors, but I haven’t been able to get this working even after multiple tries. LWP+ weighs in at just 1.34MB, and for folks that want to use a dark mode 24/7, it’s more than worth taking a look at. Apple CEO Tim Cook this morning tweeted a series of images that celebrate the Hindu festival of Holi, which began on March 1 and ended today, March 2. Cook shared three images from the India-based festival, taken by photographers Prashanth Viswanathan, Amit Mehra, and Ashish Parmar. Cook noted that each image was shot on the iPhone X. Each image depicts people participating in Holi’s colorful festivities, which mark the end of winter and beginning of spring. The festival is largely celebrated within India, but events expand beyond India into the United Kingdom, United States, South Africa, and more. Two of the images use Portrait Lighting on the iPhone X, a feature that provides several unique lighting effects as a way to emphasize part of an image. 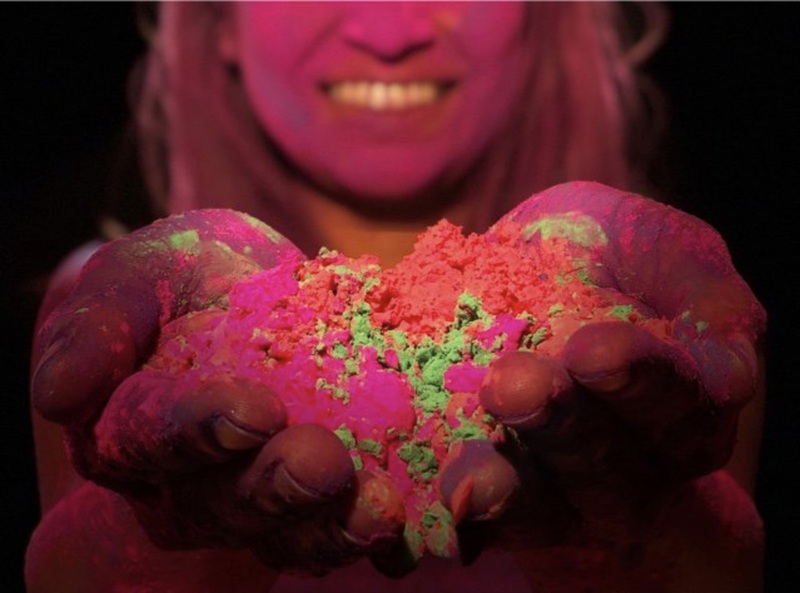 Both of the pictures from the Holi festivities use the “Stage Light” effect, which spotlights a subject against a dark background. Check out Cook’s tweet to see all of the pictures shared from Holi. I travel a fair bit. Sometimes just for fun, but usually for work. When I travel for work, I’m usually fairly burned out by the end of the day. I’m not much of a drinker (or smoker, for that matter) and so I usually turn to my phone to watch something and just sort of detox from the day. It’s usually whatever show I would normally be watching at home, or whatever I downloaded from Netflix before getting on the plane. Now that it’s super common for phones to be waterproof, my phone has started coming with me into the bath or shower and it’s made my travel life a lot nicer. A lot of my daily routine happens on my phone. I usually listen to a podcast or the morning show from my favorite radio station back home as I go for a run or hit the exercise bike in the morning. Standard procedure after that is usually to hit the shower, and when I’m not at home that usually means the phone follows me into the shower so I can keep listening while starting my day. The same basic idea applies to the end of the day, the phone follows me into the shower and I’ll keep watching an episode of Altered Carbon or something while I take care of business. I relax a lot faster at the end of the day now. This is abnormal behavior for me. I don’t feel the need to behave this way when I’m at home, though I think mostly that’s due to not wanting to wake someone up at the beginning or end of the day in my house. But for whatever reason, my phone doesn’t come anywhere near the bathroom when I’m at home. When I’m traveling, though, I find adding my phone to the shower to be a rewarding bit of self-care. I relax a lot faster at the end of the day, which usually leads to me doing more work instead of going to sleep, but that’s another matter entirely. It’s also worth pointing out just how well these phones are built for this environment now. 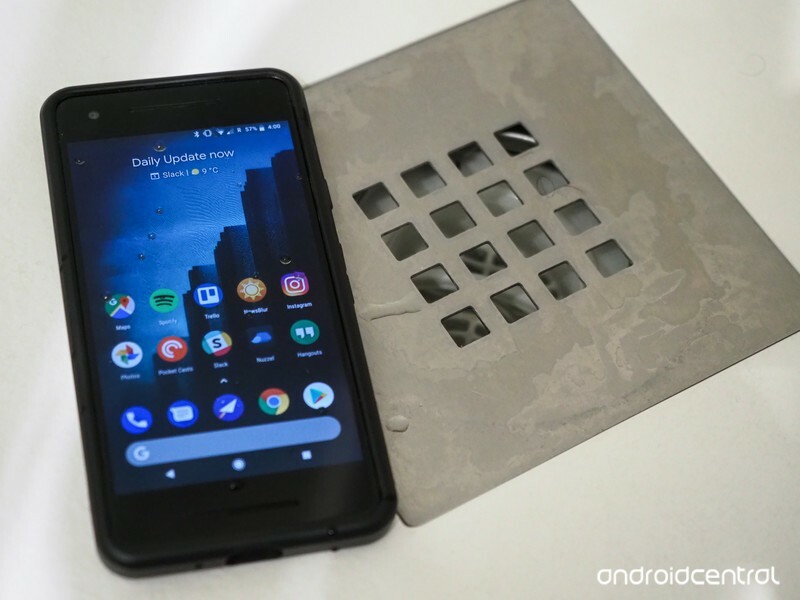 My Pixel 2 is not only waterproof, but the stereo front-facing speakers make it perfect to prop up in those hotel soap dishes that are almost always at eye level. 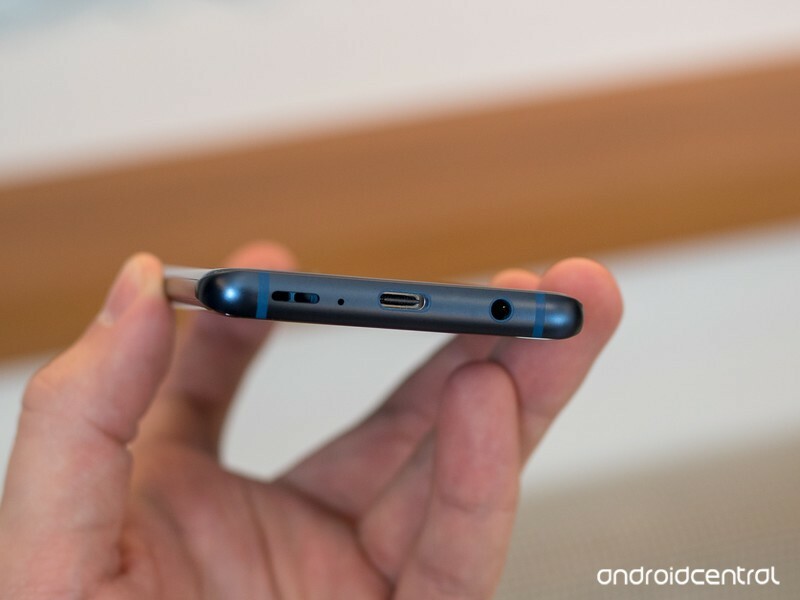 Now that the Galaxy S9 and S9+ are creating that stereo effect with the combination of the headphone speaker and the bottom-firing speakers, that is likely also going to be a great experience for in-shower entertainment. If you’ve never given this a shot, go for it next time you’re able. This isn’t as crazy as it sounds, shower speakers have been a thing for a long time now. This just cuts out the middle gadget and as an added bonus lets you catch up on your shows a little faster. Or maybe I’m the only one who does this and I’m a big weirdo for admitting it. Either way, give it a try. You’ll probably like it. 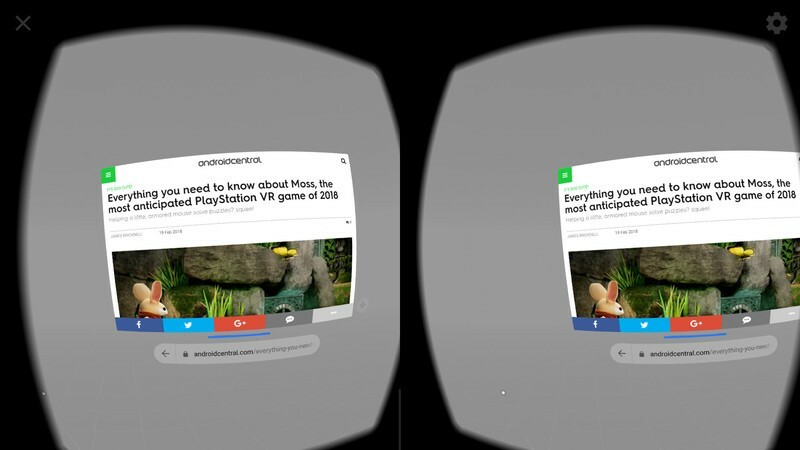 For someone who’s always in front of a screen, this looks like a dream come true. Smartphones are awesome. I love my Pixel 2 and use it daily for taking photos, browsing social media, watching YouTube videos, etc. However, as awesome as it is, it can also be a distraction I don’t always need. This is a struggle that a lot of people have, and to provide a solution to this problem, we have the Light Phone 2. 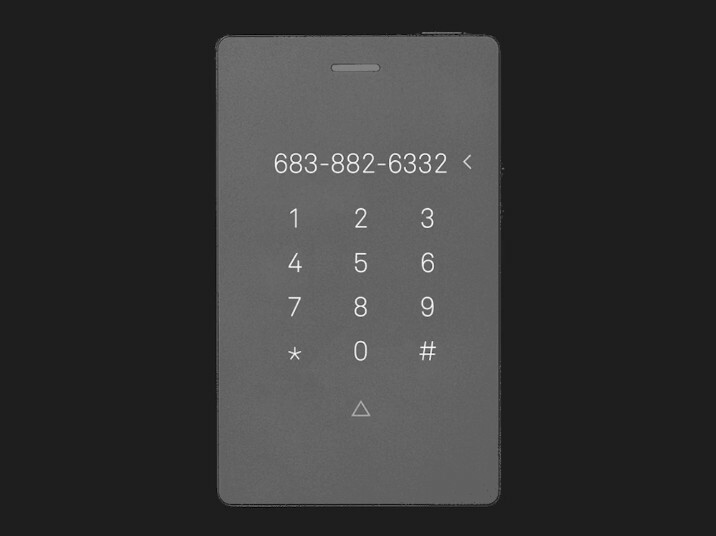 Light Phone 2 is a project that recently launched on Indiegogo, and it’s a 4G LTE phone that does the basics and nothing more. You can make phone calls, send text messages, view your contacts, and even set alarms, but you won’t find any apps for social media, emails, news, or games. 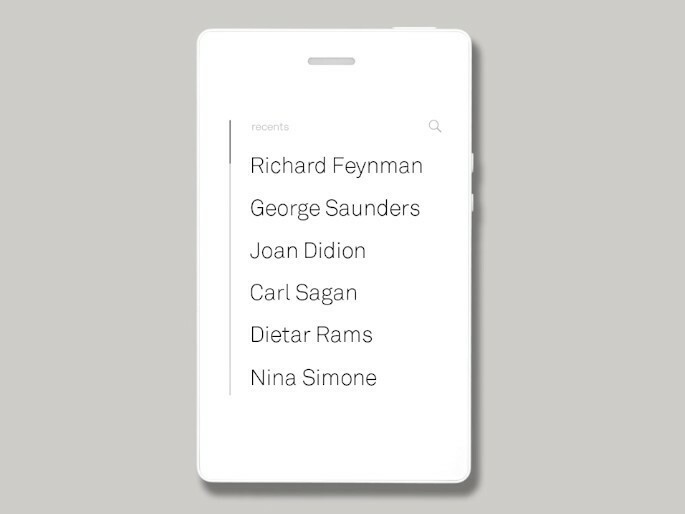 All of this is packed into a small, rectangular body (99mm x 55mm x 7.5mm) with an e-Ink display, and it’s powered by LightOS – a heavily modified version of Android. 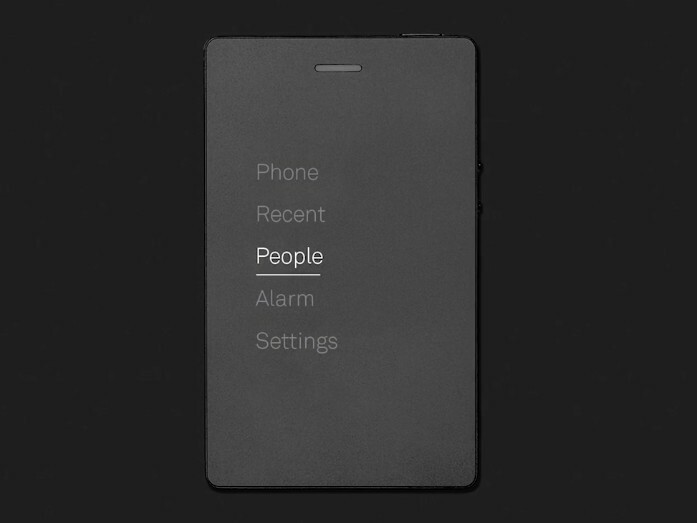 The Light Phone 2 will have a price tag of $400 USD, but if you act fast, you can still grab it for $250 as part of the Indiegogo campaign. So, why in the world would anyone want to throw down $250 to $400 on a phone that makes calls and texts but not much else? For me personally, this looks like something I’d love to have. I try to be as conscious as possible about my smartphone usage, but it’s still something I struggle with each day. I can be spending time with family or my fiance, and before you know it, I’ve got my phone in my hand going through Twitter or checking out Instagram Stories. With the Light Phone 2, there’s no chance for those distractions to happen. 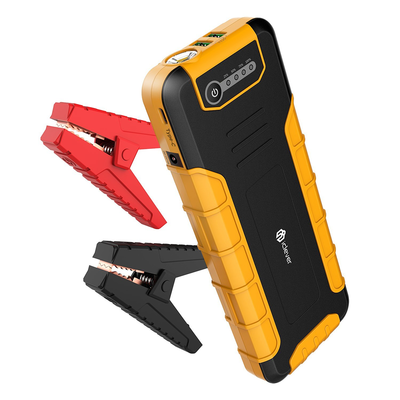 I don’t think I could ever completely get rid of my Pixel 2 due to the nature of my job, but for those times when I really want to stay in the moment, the Light Phone 2 would be wonderful to have as a secondary device. The team behind Light Phone 2 says it’s toying with other features it may add down the road, such as turn-by-turn directions, ride-sharing, weather info, etc., but anything that does get added will have a purpose. No matter what happens, you’ll never see an app for Facebook on here. 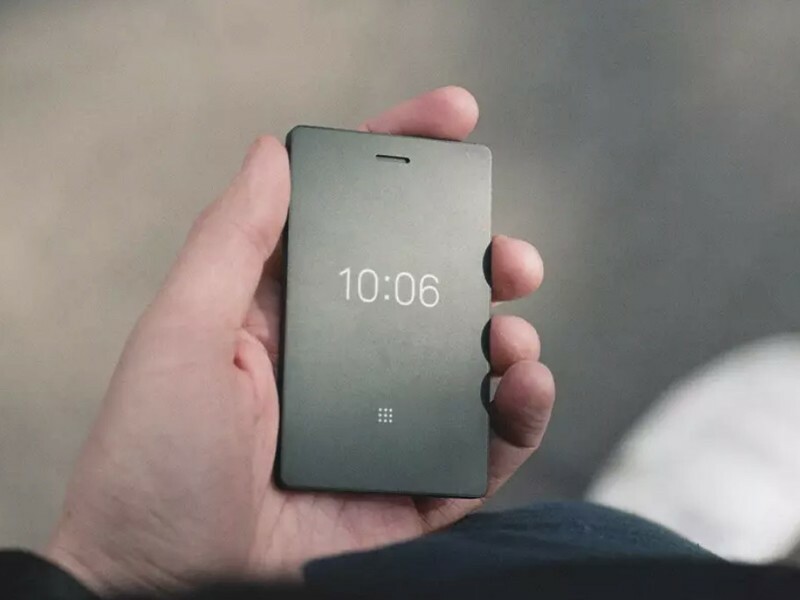 Light Phone 2 is slated to start shipping in April 2019, and at the time of publishing this article, the campaign’s already 169% complete with over $420,000 in raised funds. This is definitely something I’ll be following over the next year, but what about you? Is the Light Phone 2 something you’d be interested in buying? Let me know in those comments down below.